This is a sad, sad story. It is a reminder of why the government must always be vigilant in how it conducts its business. Particularly, with how the IRS collects taxes and enforces the Tax Code. The story begins in 2007 and is still winding its way through the courts. A recent decision by a U.S. District Court Judge in Indiana, however, let the IRS off the hook. Denise’s estate and her husband filed two lawsuits, one against the agents who conducted the raid and one against the IRS. According to the complaints, Denise was home with her 11-year-old daughter when the raid took place. James was out of the country. Agents had their weapons “visible” and were wearing bulletproof vests. The raid took place at 7:00 am. The lawsuits allege a number of violations including overkill by the IRS and their agents. The family says that the agent lied in his search warrant affidavit and that less intrusive methods were available to obtain the necessary records. It took until 2015 for the case to come forward because the two lawsuits were placed on hold during James’ criminal case. He ultimately convicted of filing false tax returns, failure to file FBAR forms and mail fraud. James is currently serving a 6-year sentence. The feds became interested in the Simons because they spent $1.8 million over several years yet only paid $328 in federal income tax. James Simon claimed that the money was borrowed money and not income. Evidently, the court didn’t buy that story as he was convicted. So what happened with the civil suit? The case against the agents continues but the claim against the United States was dismissed last month. The law allowing the federal government to be sued is called the Federal Tort Claims Act. Unfortunately for the Simon family, there is an exception to the law that says the government can’t be sued for claims arising from the collection of taxes. We have no idea whether the agents lied or used excessive force. At this writing, that case is still pending. We do know, however, that a mother is dead and her kids are effectively parentless because the father is in prison. There are no winners in this story. The lessons here are obvious. No IRS audit is worth one’s life. If you are the subject of an audit or criminal investigation, seek legal help immediately. Let someone else take the stress and worry. 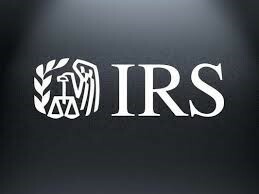 IRS cases accepted anywhere in the U.S. and beyond. All inquiries protected by the attorney – client privilege and kept confidential.